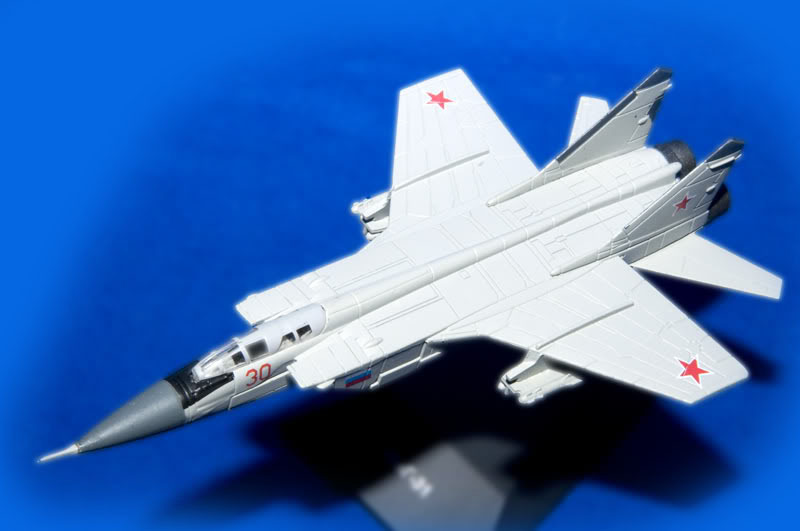 The Mikoyan MiG-31 (Russian: Микоян МиГ-31; NATO reporting name: Foxhound) is a supersonic interceptor aircraft developed to replace the MiG-25 "Foxbat". 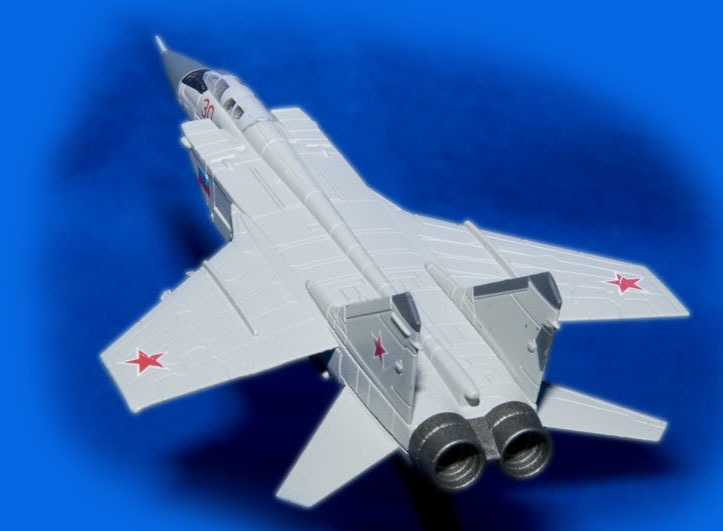 The MiG-31 was designed by the Mikoyan design bureau based on the MiG-25. 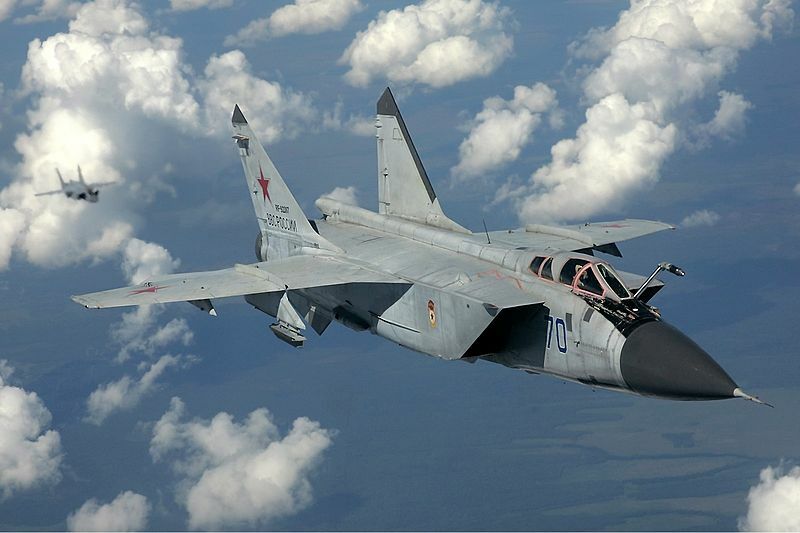 Operational history The MiG-31 entered operational service with the Soviet Air Defence Forces (PVO) in 1982. It was first photographed by a Norwegian pilot over the Barents Sea in 1985. 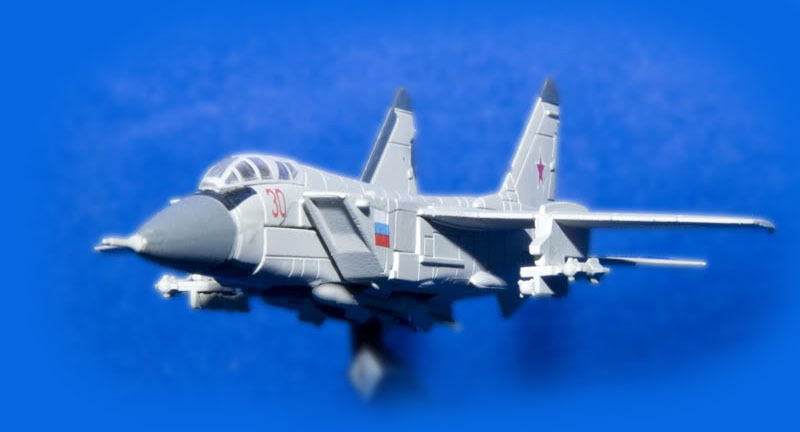 The MiG-31 was sought after for a variety of long-range missions. With the designation Ye-266, a re-engined Ye-155 shattered world records. It reached an absolute maximum altitude of 123,524 ft, or 37,650 m, and set a time to height record of 35,000 m in 4 minutes, 11.78 seconds, both which were set by test pilot Alexander Fedotov. Ostapenko, his deputy, set a record of 30,000 m in 3 minutes, 9.8 seconds. 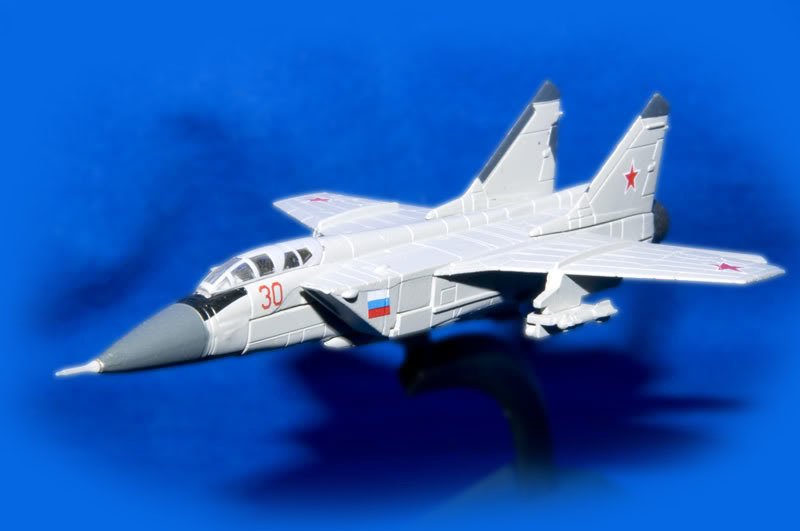 Following the collapse of the USSR in 1991, however, the budget for spares (MIG-31 AOG desk was created to solve this problem) and maintenance collapsed, leaving many squadrons unable to maintain their complex aircraft. By 1996, only 20% of remaining aircraft were reportedly serviceable at any time; however, by early 2006, a stronger Russian economy permitted the return to service of around 75% of the Russian Air Force's (VVS') MiG-31s. Approximately 370 are in Russian service, with another 30 or so in Kazakhstan. The MiG-31 will likely continue serving for years to come, depending on upgrades and future growth of the Russian economy.